Fieldstone Farm owns approximately 35 therapy horses of various breeds. Our horses come from different backgrounds and experiences. Prior to coming to the farm, our horses often had careers as show horses, driving horses, pleasure horses, polo ponies and foxhunters. Most therapy horses are donated. A few have been purchased with specifically designated donations. Each horse is screened prior to a 6-8 week trial process. During the trial period, staff and volunteers train and acclimate the new horses to the program. At the end of this trial period the horses are evaluated for acceptance into the program. 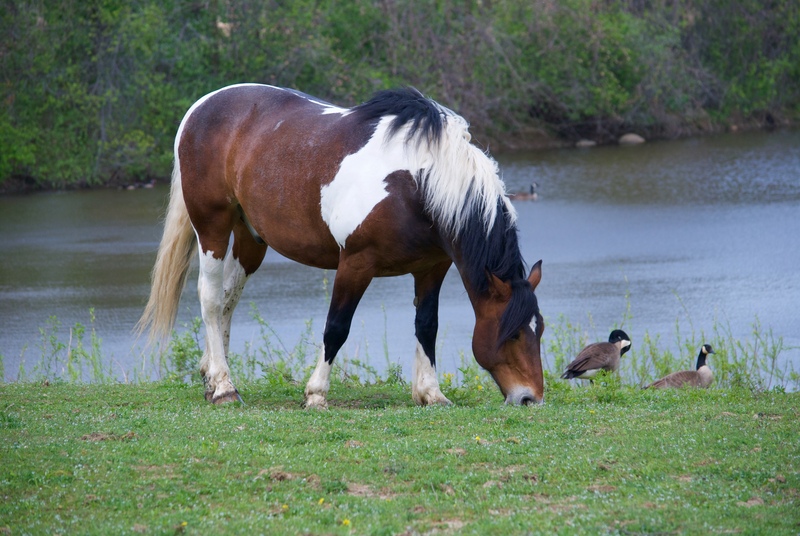 If you are considering donating your horse, here are some guidelines to review. Original owners have first right of refusal upon a horse’s retirement from the program. For more information, please contact the Equine Director at (440) 708-0013, ext. 132. Fieldstone Farm has 36 stalls, an outdoor riding arena, a dividable indoor arena (80 x 200), a 3/4 mile carriage trail (also used for trail riding), many pastures for turnout, seven grooming stalls, two wash stalls and two heated grooming stalls for the farrier and veterinarian. The state-of-the-art facility is 48,000 square feet and is one of the largest centers of its kind in the United States.